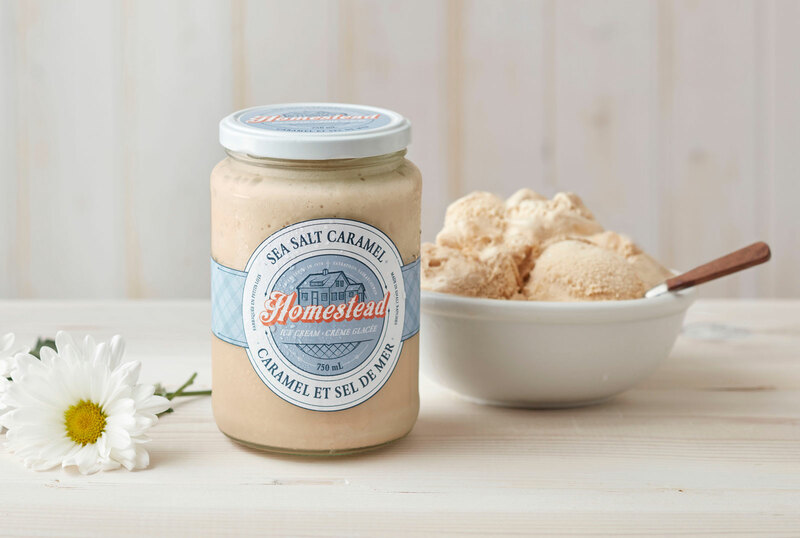 Homestead Ice Cream & Novelties, recently named one of Canada’s 15 best ice cream parlours, has been hand making gourmet ice cream since 1978. 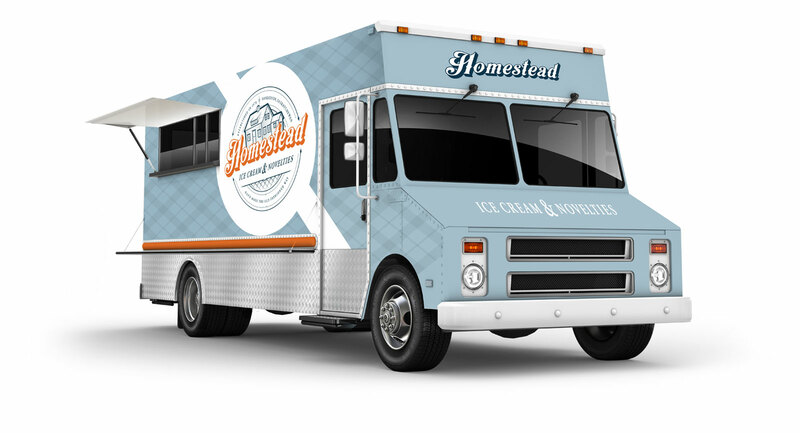 Located in the heart of Saskatoon, Homestead features 20 signature flavours. 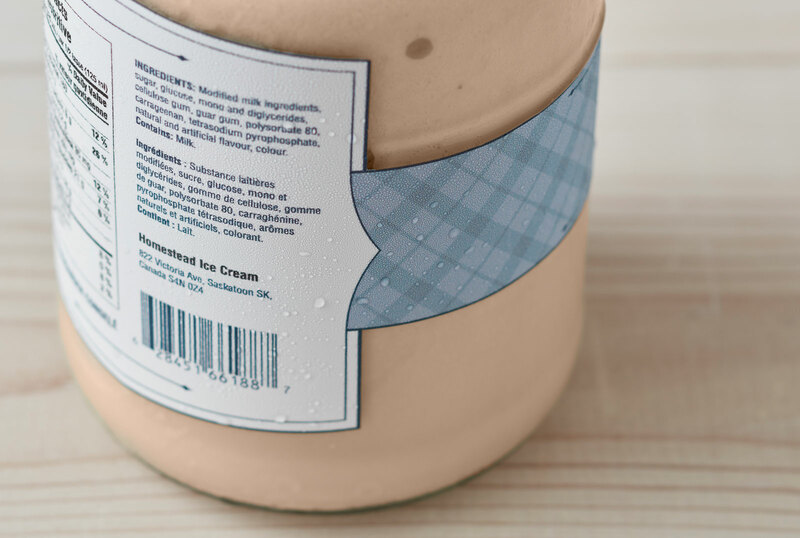 An additional 300 flavours can be found at their flagship parlour where new ingredients and combinations are tested. 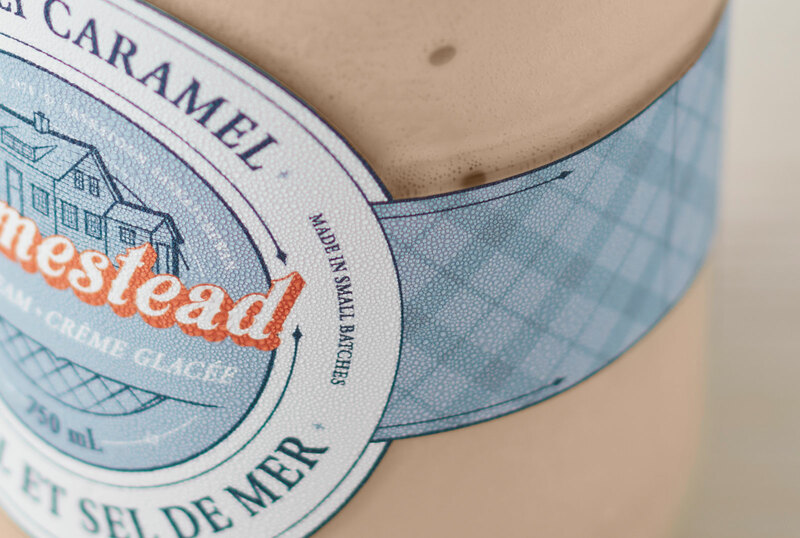 The rebranding and ice cream packaging design for Homestead features stylistic hints of their prairie proud heritage. The owner’s family farmhouse can be seen as part of the main logo illustration. 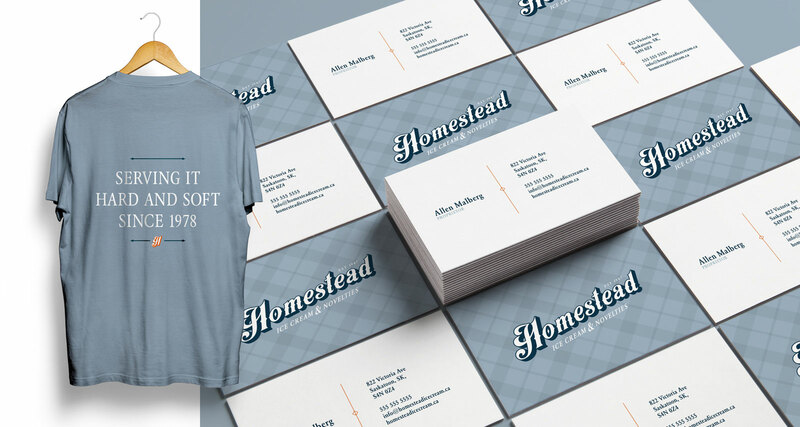 Supporting typography, colour palette, signature pattern, and use of glass jars all work together to reflect the hand-made-in-a-small-town ideology that is engrained in Homestead and its owners.